Artigas Uruguay is fast becoming one of the top destinations for travelers wondering which cities in uruguay they should include on their itinerary. Unlike Montevideo and other resort settings, this city offers guests a chance to step into the past and experience the charm and adventure of a more rural lifestyle. 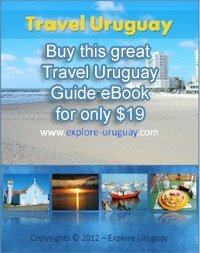 Artigas Uruguay is the capital city of the Artigas province. This city is rich in historical significance. It was named after a Uruguay National Hero, General Jose Gervasio Artigas. The people of Uruguay who live here are known as Artiguenses. Jose Artigas was a soldier who fought for the freedom of the land around the Rio de la Plata. He also was one of the first to demand that a sovereign nation be established that was free from colonial rule. Don Carlos Catala was responsible for establishing the city of Artigas, Uruguay on September 12, 1852. Today the city continues to thrive even though it is the furthest Uruguay city away from Montevideo. Nearly 50,000 people live and work in Artigas, Uruguay and tourists are now discovering that this historic town is the perfect combination of past and present. The pace of life is much slower than that of many other cities of Uruguay and this allows visitors to take their time absorbing the culture and beauty that is there. The Artigas province is located along the northernmost edge of Uruguay. The city of Artigas, Uruguay is only one of the urban centers for this region. Some of the other main towns in this province include Las Piedras, Bella Union, Pintadito and Tomas Gomensoro. The department of Artigas shares its borders with Brazil, Argentino and the Department of Salto Uruguay. If you travel to Artigas, Uruguay you will notice that this part of the Uruguay economy is mainly livestock and farm products. You will be able to observe Uruguay gauchos at work and some of the larger ranches will even allow tours of their property. Sugar production is another industry that provides work for many of the Artiguenses. The rolling hills are also a major source of semi-precious jewels such as amethysts and agates. Mining of these gems is taking on more significance with the Uruguay government expanding these operations to bolster and diversify the region's economic base. Artigas Uruguay is located at least a day's drive from the nation's capital city of Montevideo. The people who live in Artigas are friendly and look forward to welcoming guests who wish to see how they live. If you want to explore a wilder, more untamed Uruguay then the city of Artigas offers you a once in a lifetime experience that you will cherish forever.